Ankara, Turkey: In the presence of The Prime Ministers of Turkey and the United Kingdom, BAE Systems and Turkish Aerospace Industries (TAI) today signed a Heads of Agreement to collaborate on the first development phase of an indigenous fifth-generation fighter jet for the Turkish Air Force – TF-X. This announcement builds upon a pre-contract study phase between BAE Systems and TAI. 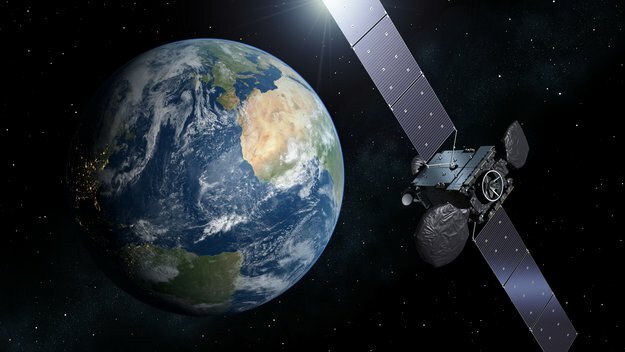 28 January 2017ESA’s new small telecom platform was launched on its first mission in the early hours of this morning. Oulu, Finland, January 27, 2017 – Bittium has signed a contract with the Finnish Defence Forces for the delivery of Bittium Tough Mobile LTE smartphones and related Bittium Secure Suite back-end system classified for Confidential level. The contract signifies a strategic decision to reinforce the information security of the wireless communications of the Finnish Defence Forces. Bittium Tough Mobile smartphones and the related back-end system will be used in different and diverse functions within the Finnish Defence Forces. Oulu, Finland, January 26, 2017 – Bittium will exhibit its products and solutions for Tactical Communications at IDEX defense exhibition on February 19-23 in Abu Dhabi, United Arab Emirates. The products and solutions to be exhibited are software defined radio based Bittium Tactical Wireless IP Network™ (TAC WIN) system , Bittium Tactical LTE Access Point™ solution (Long-Term Evolution, 4G), Bittium Tough VoIP™ product family (Voice over Internet Protocol) and Bittium Tough Mobile™ LTE smartphone. These products and solutions are based on the latest software and device technologies and enable comprehensive broadband data transfer and IP calls across the battlefield. At the exhibition stand (Hall 7, 07-A21) Bittium will demonstrate the field applicability of these data transfer and communication solutions, which are essential in the battlefield. In addition to these products and solutions, Bittium’s Medical Technology products Faros, BrainStatus, and NeurOne are demonstrated for field and research purposes.